I left sunny and warm Seattle for cloudy, cold & rainy Las Vegas!!! Canon and Bay Photo got things started off right with a fantastic party on the fourth floor Main Room and Pavilion of Hakkasan. 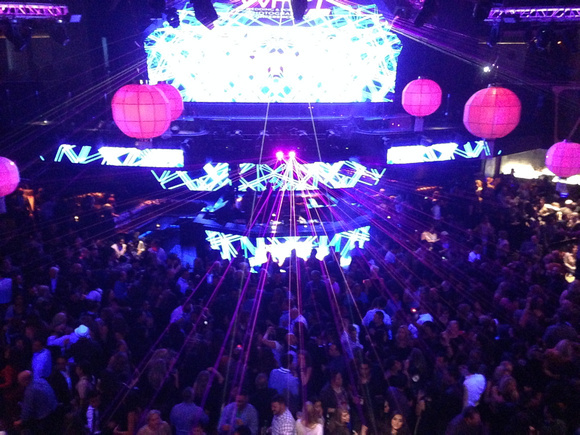 From glowing ice cubes to lots of good fun and dancing, many attendees and exhibitors alike declared this to be one of the best trade show parties they had ever seen – I’d have to agree! 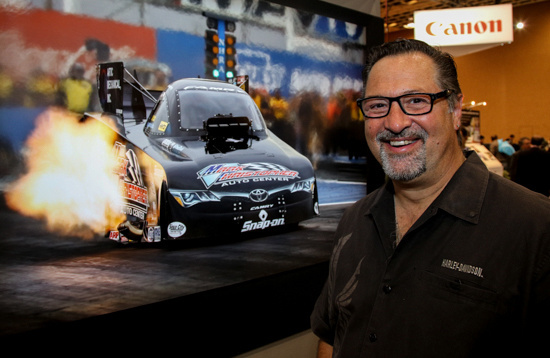 Ken Sklute had some awesome images taken with his 5DS R. The dragster shot above was taken at ISO 1600 handheld and the results were incredible. Printed at full size on a iPF8400 on metallic without any edits, it was impossible to see any significant flaws! What was amazing was the dynamic range in the fire (which is better than what you see in this photo) and the detail on the windscreen rivets. You have to see it to fully appreciate it, but I was definitely impressed! Ken prefers R, but felt like ISO 1600 is as high as he felt comfortable going with this camera. He goes much higher with his 1D X, so he definitely would only use this camera for special shots that need to be printed big. He also confirmed that the buffer fills pretty quickly on the pre-release models, so it’s definitely no sports camera – despite his ability to get the dragster shot (1 frame timed perfectly). Ken felt the new 11-24mm is a game changer lens with incredible sharpness, so he definitely plans to add it to his collection. The photos above was taken in George’s hotel room with the 5DS R using 43 images focused stacked! 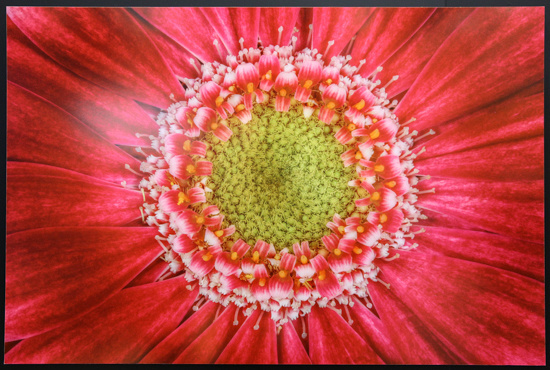 George had several other excellent images at the show including some with the new 100-400mm that he absolutely loves. He quickly learned that he needed to be more careful even the slightest camera movement that used to go unnoticed now gets captured. As a result it was a little more challenging for him, but he still managed to get some great shots. He also thought it was great for prints. Bruce is a videographer first and foremost, but he still finds himself taking still shots. He absolutely loved the images he was getting with the 5Ds even handheld at slow shutter speeds like the one above. No significant issues with camera shake were present, so he was super happy with the results. He noted that its 1080p video is about same as the 5D Mark III but it lacks headphones jack . As a result he didn’t see a real reason for videographers to get it over the cheaper 5D Mark III. He said that the model small in the shot above looks small in the frame, but you could zoom into teeth and get tons of great detail (including any food stuck in the teeth – ha, ha). Since he is a wide angle shooter, this detail that you can capture even when you do a major crop is a game changer for him, so the 5Ds R will become his camera of choice when it becomes available. He loved the feel and durability of the all-new shutter system. 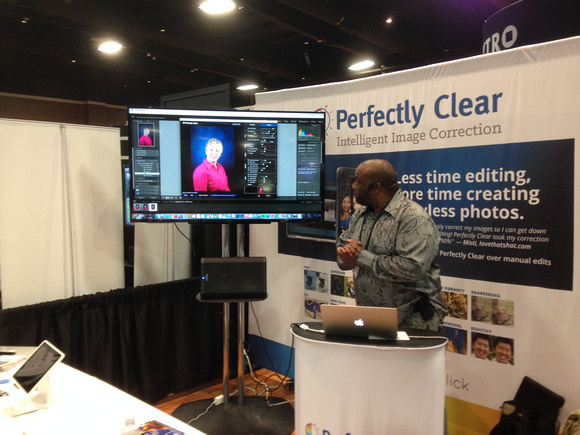 He says it feels much better than the 5D Mark III, so this really took him by surprise. He also pointed out that with these cameras having the same pixel size as the 7D Mark II that he felt the noise level was roughly the same. He gushed over the new 11-24mm saying it was the sharpest lens he’s ever used. The rest of the panel agreed. He also was very excited about its rear gel holder at the lens mount which really useful for using gels for wide angle photography. He has always shot medium format, but he’s now giving up his medium format cameras in favor of the 5Ds. He didn’t have a chance to try the 5Ds R, but he saw nothing wrong with the 5Ds image quality to warrant getting the 5Ds R over the 5Ds. Overall Peter was very enthusiastic and excited about the 5Ds. He felt it was definitely a game changer that is going to make medium format cameras much less relevant. It offers full sensor raw in three crop factors - 1.3x, 1.6x and full frame. None observed any moire issues on the 5DS R even though it is possible due to its lack of an optical low pass filter. Overall the feedback was extremely positive even when talking off the record. 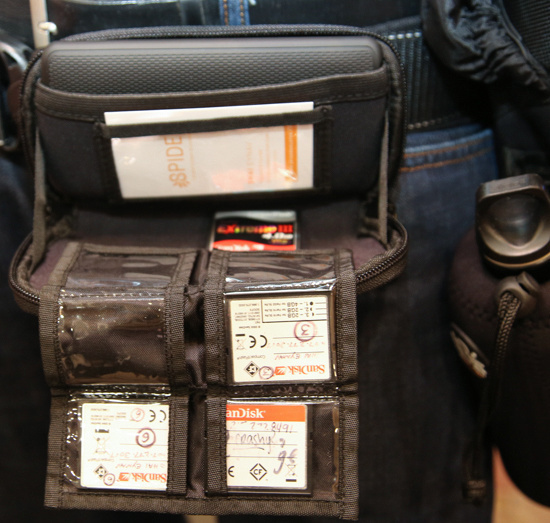 Spider Holster was on hand to demonstrate their full line of products, but the one product that really caught my eye was the Spider Camera Holster Memory Card Organizer. I loved the little shelf and the fact that this can be attached to my belt as that’s crazy handy when you are doing a one handed memory card change! Readers have been asking me to check Perfectly Clear out for a while but I’ve never had the time. I finally did and the demo got me jazzed up enough to finally get a copy. Expect a review and special offer coming to the blog in the near future! Epson's P Series display had a wrapped printer with prints on display by Greg Gorman and Steve McCurry - they were some of the best prints I've ever seen! 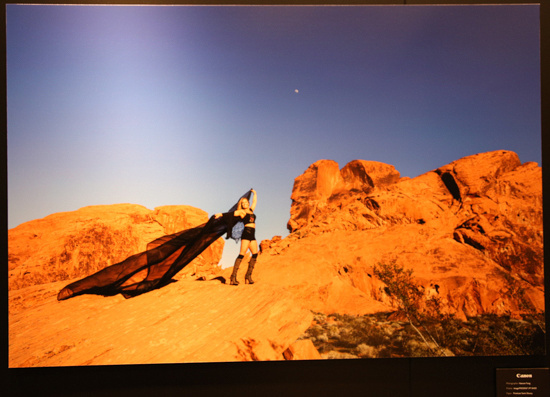 The big mystery at the Epson booth was the wrapped printer with phenomenal prints hanging on the wall. No details were given about the prints or what was underneath, but there was the usual speculation you’ve been hearing forever. Could this finally be the year we get the printer we’ve all been waiting for? Only time will tell. What is clear is that Epson is very serious about delivering both its best quality and usability with its new SureColor P series printer, so I’m eager to get my hands on my P600 review unit. I got to have an great conversation with Epson about the P600 and the future, so I’m very excited about the direction they are heading. You’ll definitely be seeing my printing series come back to life this year, so if you’ve enjoyed what I’ve done so far then you’ll definitely want to check out my upcoming reviews. The P600, despite its small size, appears to be yielding some of the best prints of photographs that my eyes have seen. With an all new and improved 9 UltraChrome HD pigment-based ink set and the Advanced Micro Piezo AMC print head (same as the 3880 which doesn’t clog like the TFP print head in my 4900), this printer appears to hit the sweet spot to satisfy the occasional use fine art print master. I can’t wait to put it through its paces! 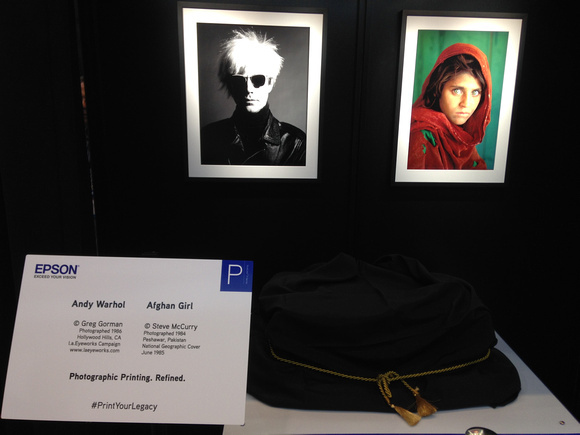 Click here to see the second part of my WPPI coverage.